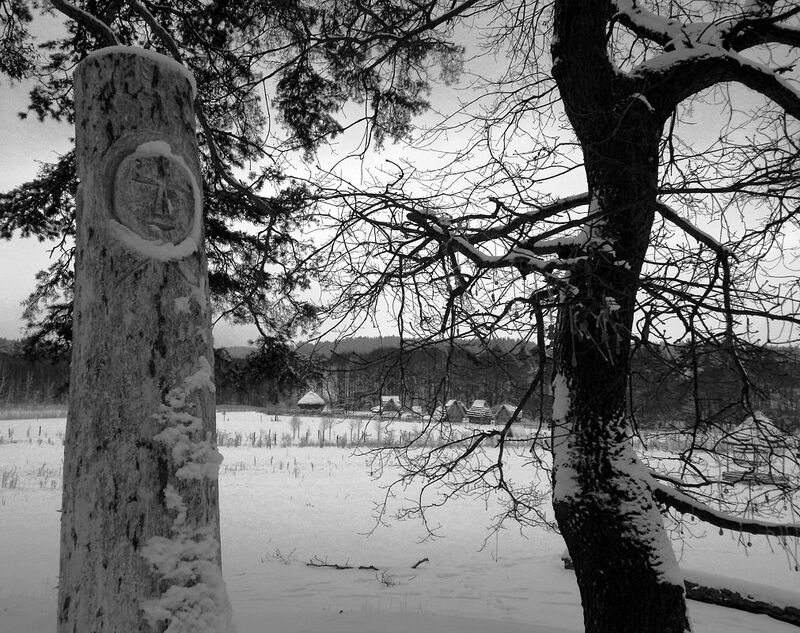 The Nature Adventure Park Zeměráj was founded in 2011 by a private company, funded from private sources without any public subsidies. The Park is situated between Central and Southern Bohemia, near Kovářov village at Orlík nad Vltavou castle. 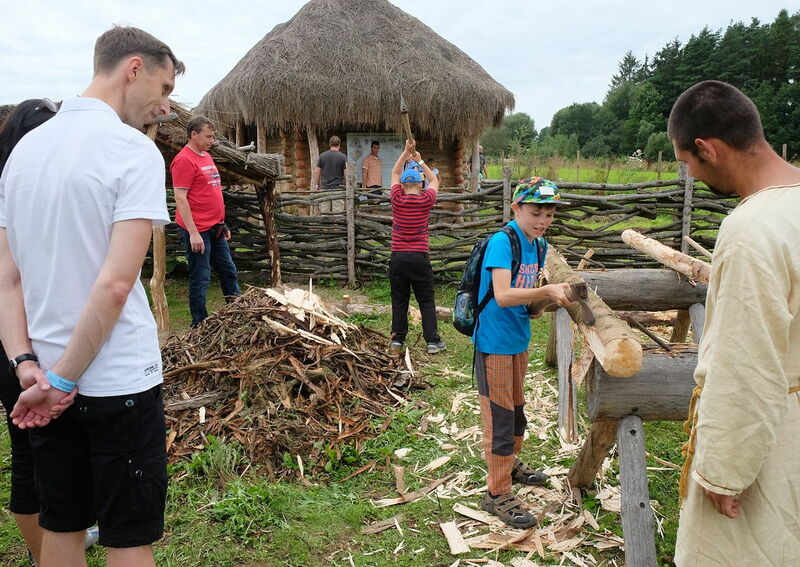 The Zeměráj Park covers an area of 9 hectares and surrounds a former farmhouse with a preserved timbered house dating back to 1640, standing at the site of a defunct water mill founded at the very latest at the beginning of the 16th century. 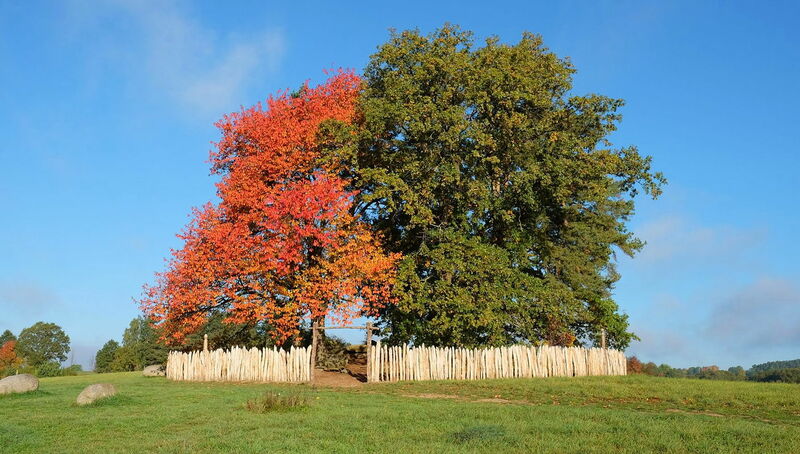 The Park is set in a diverse landscape in a secluded area, approximately 2 km from the nearest settlement, and, thus, there are no distracting influences. The picturesque scenery comprises a mosaic of mixed groves, meadows, fields, ponds, scattered greenery and typical clusters of large granite boulders. 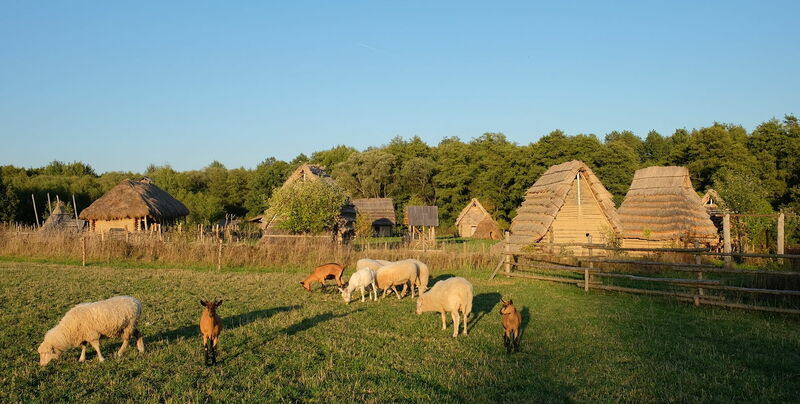 Zeměráj mainly consists of an Archaeological Park of an Early Mediaeval Slavic village surrounded by gardens, fields and pastures, animated by its inhabitants and animals. 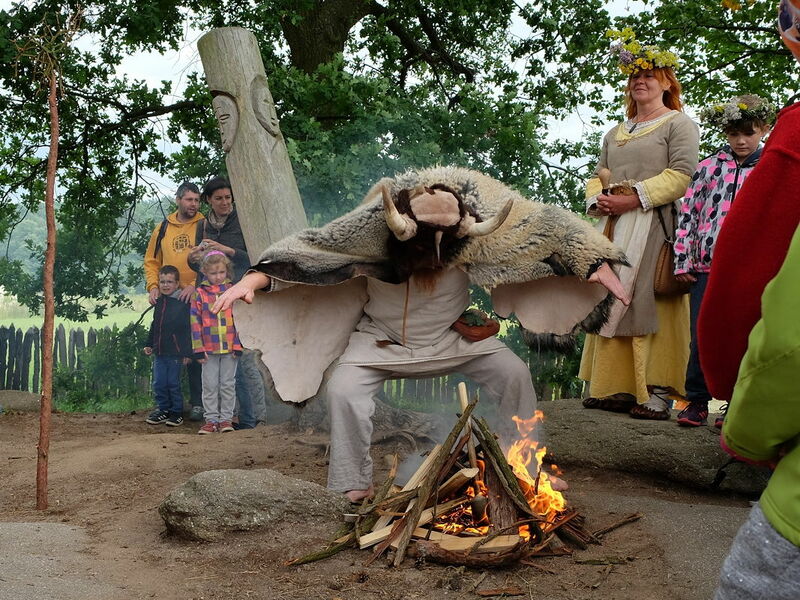 The archaeopark also contains a pagan sanctuary and a burial mounds. 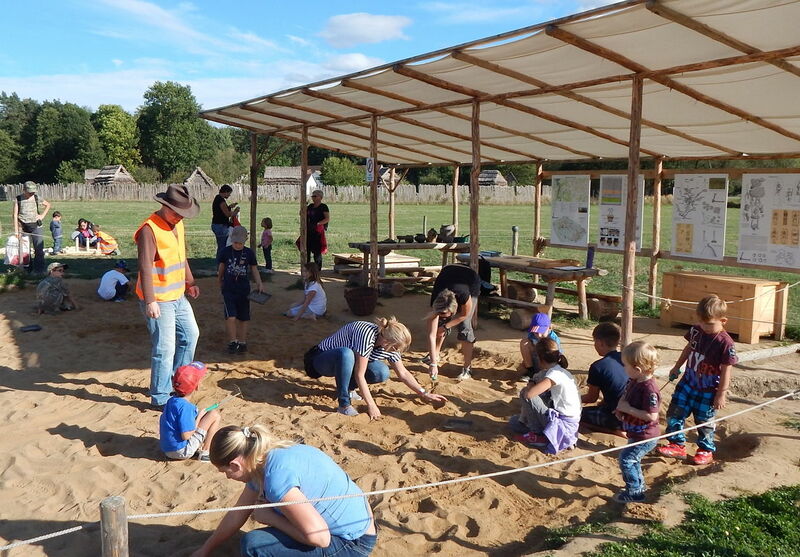 Furthermore, there are archaeological and palaeontological simulated sites, a children's play village inspired by timbered houses of regional folk architecture constructed on a reduced scale, a natural barefoot track one-kilometre-long, an extensive wooden maze, an interactive natural playroom, an archery range and many various natural playgrounds. In the Park, there are approximately one hundred creative game elements, large brainteasers, adventure and skill tasks for all ages. 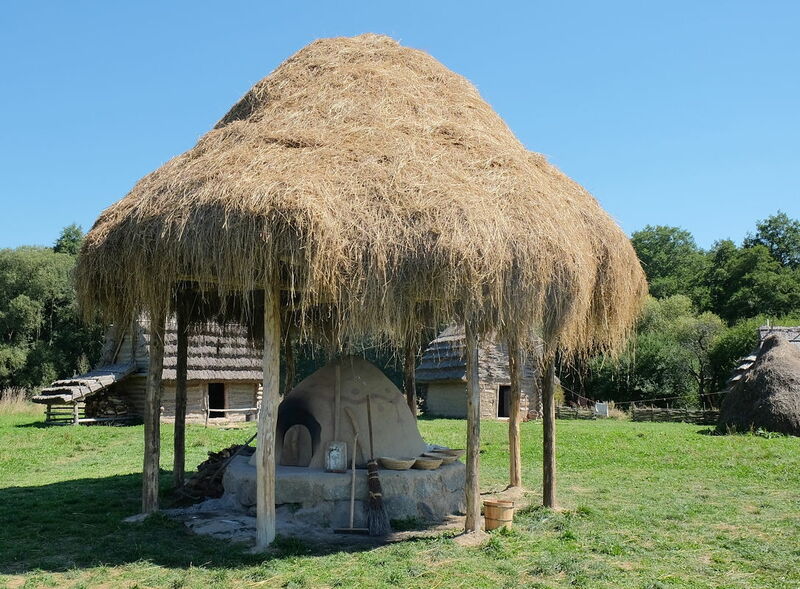 And, of course, there is also a medieval-like pub with a stylish menu of food and drinks, relaxation zones and roofed areas in case of bad weather. 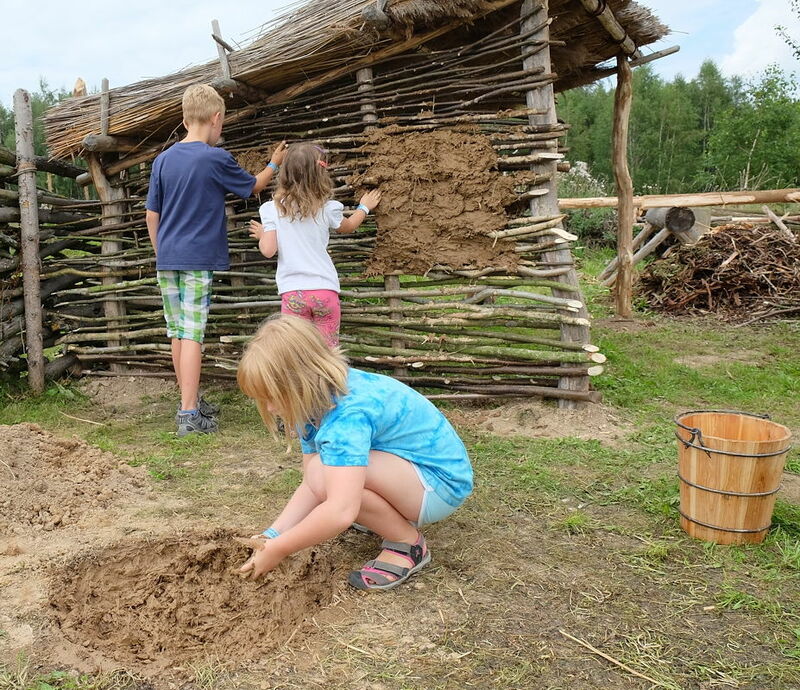 In a fun way and through their active participation, the visitors can not only better understand the different aspects of hard lives of early medieval peasants, but also discover how the archaeologists unearth and explore the past. 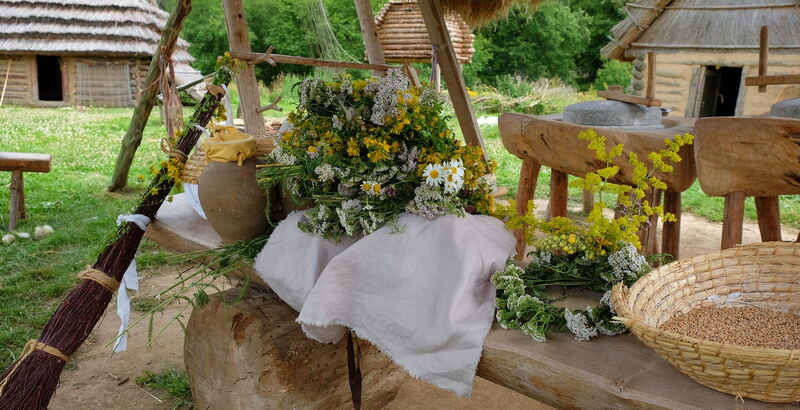 With your own hands, you can spin a thread and weave a beautiful bracelet, make a bowl from a piece of clay on the potter's wheel, create a lucky charm or other items from various inspirational materials. 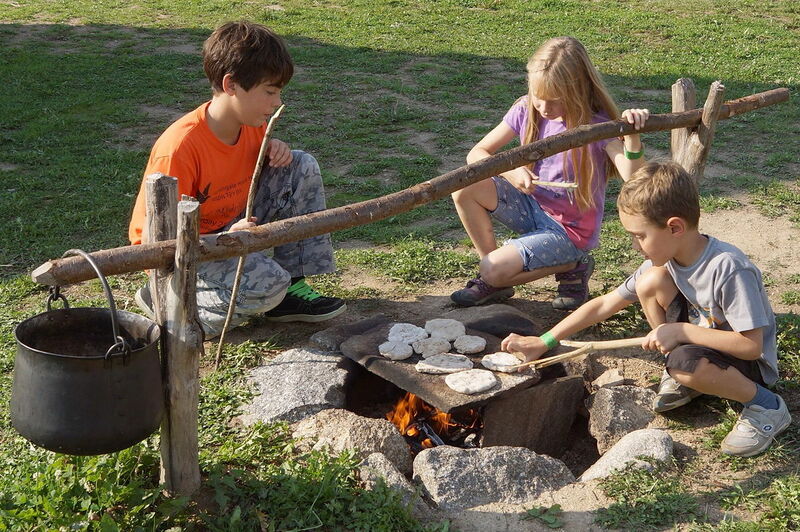 You can ground the flour on a stone mill or grinding slab, prepare the dough and roast grain cakes. 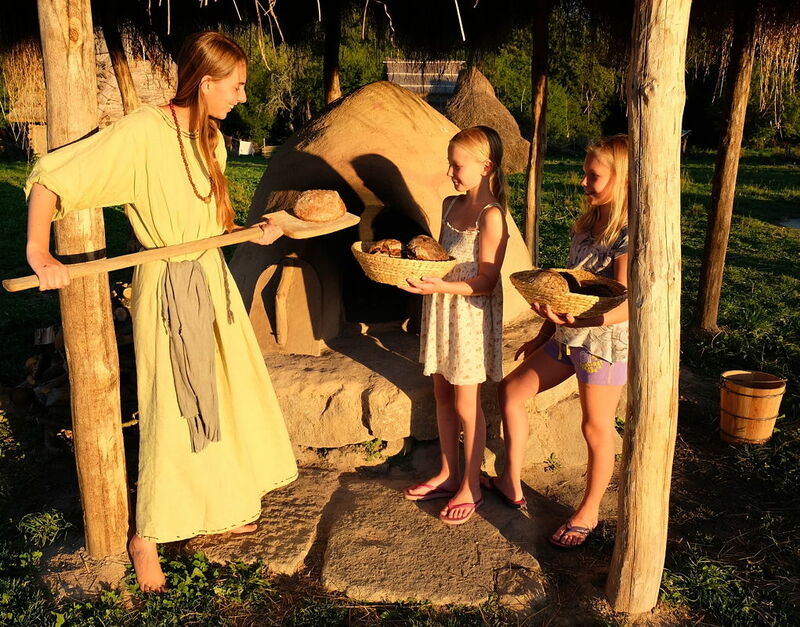 You can help with the baking of bread in a working bread oven, gardening, crop harvesting, caring for livestock and water supply, wood processing, fire making and cooking. 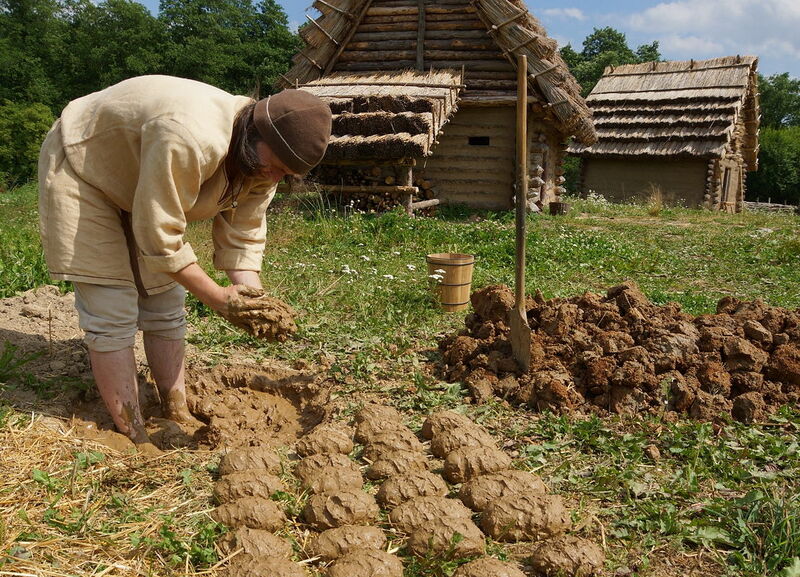 You will find out how comfortable a straw bed can be, and how warm you can feel in furs while living in modest dwellings. 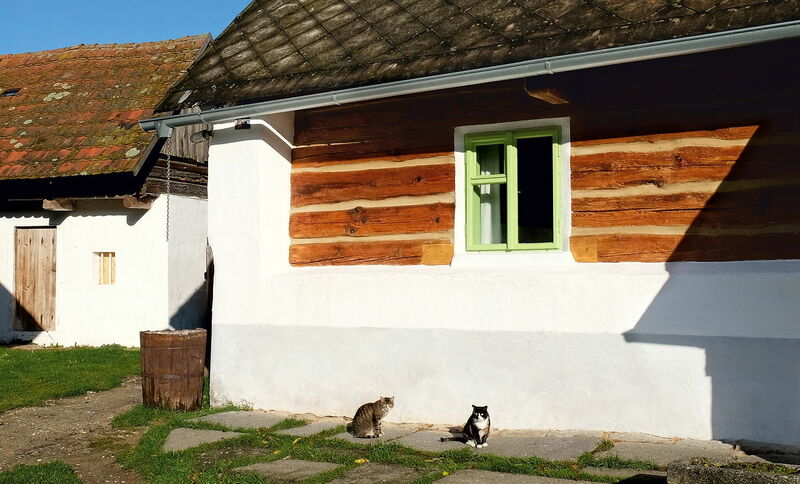 You will learn how our ancestors lived not so long ago, discover the folk architecture of the region along the mid-Moldau River, traditional crafts and the past cuisine. Each place of the Zeměráj Park is conceived to pull on more senses at the same time, revealing different contexts, stimulating the attention and imagination of the visitor, and, thus, making the experience more fascinating and the obtained knowledge more persistent. 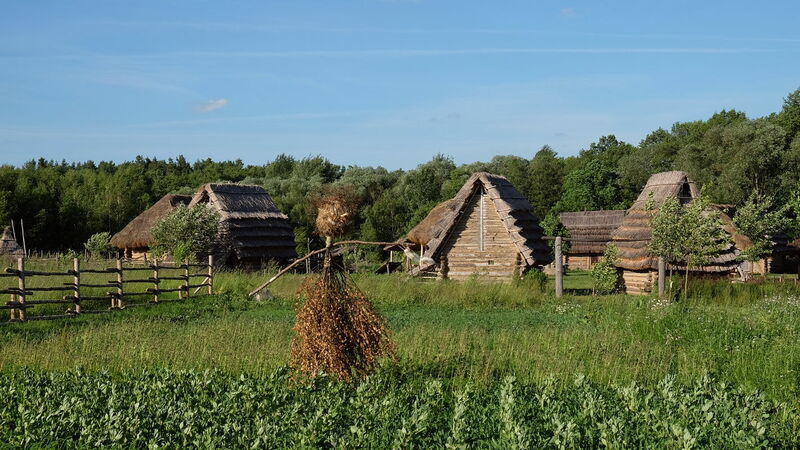 The concept of this amusement park is quite unique in the Czech Republic; it was constructed according to the model of European interactive open-air museums, respectively ecomuseums, on the basis of modern methods of live interpretation of cultural and natural heritage. 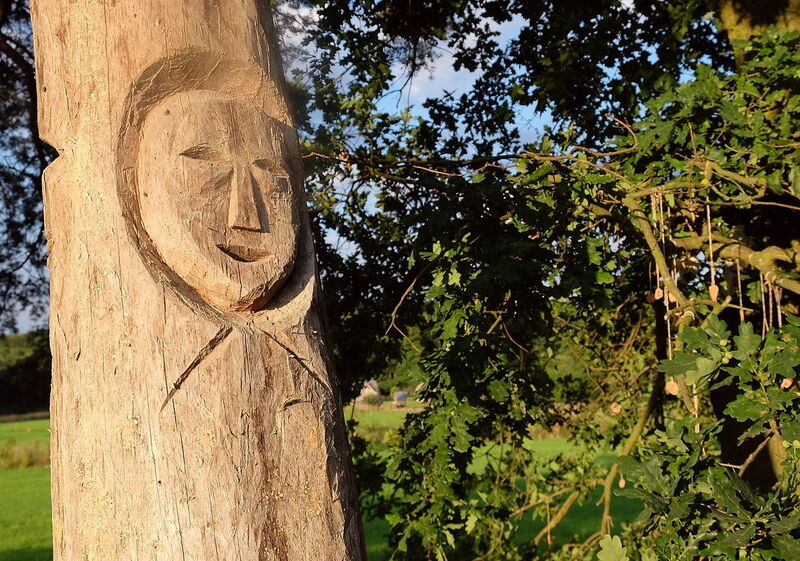 The park intelligently conveys the stories of “ordinary” rural people based on scientific facts and presents them with logical connections and in a form that is as complete and authentic as possible. 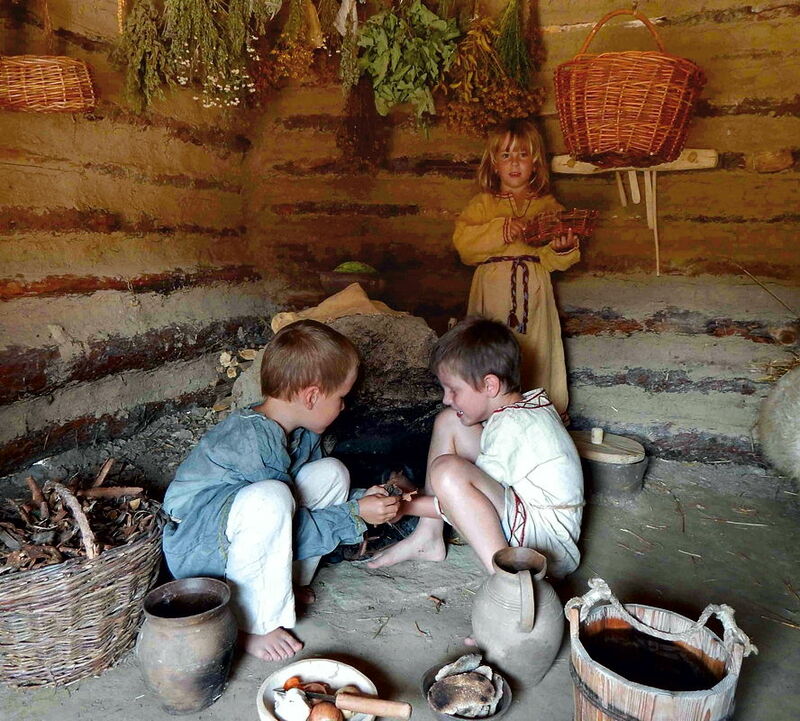 The Park appeals to the widest public, including the non-educated visitors who would probably never visit a “traditional” museum or open-air museum, and tries to create a link between the commercial and scientific world. 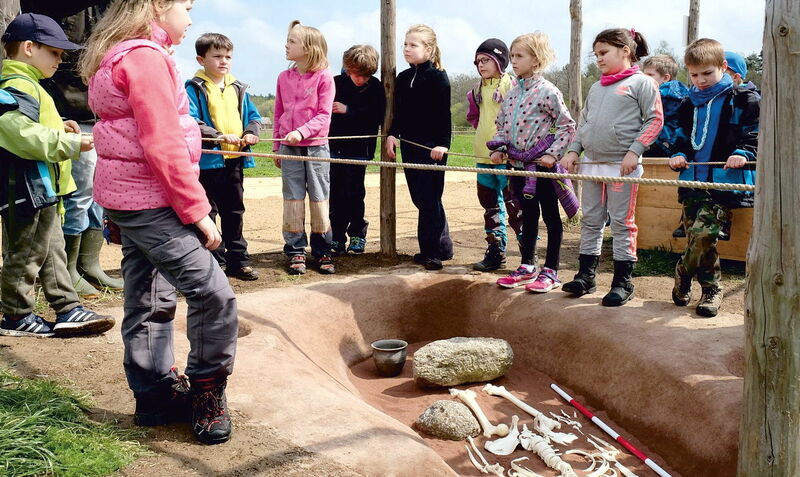 The Park aspires to become a starting point for further education, especially for children, under the motto “knowledge of the past is a gift of the future”.